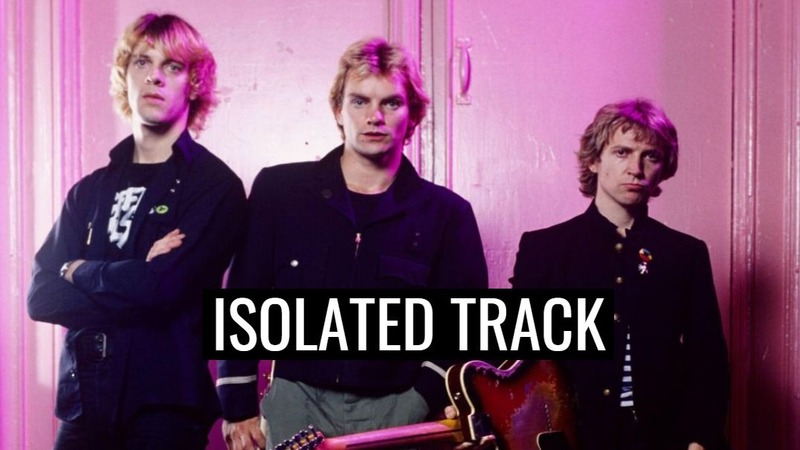 Hear Sting isolated vocals on The Police's "Roxanne"
The Police was one of the biggest post punk bands and their most famous song is “Roxanne”, you probably heard the tune a million times, but now you’ve got the chance to hear Sting’s amazing isolated vocal track. “Roxanne” is a song by English rock band The Police. The song was written by lead singer and bassist Sting and was released in April 1978 as a single from their debut album Outlandos d’Amour. It was written from the point of view of a man who falls in love with a prostitute. On re-release in 1979, the song peaked at No. 12 on the UK Singles Chart. The song ranked No. 388 on the Rolling Stone’s “500 Greatest Songs of All Time” and was voted No. 85 by VH1 on its list of the “100 Greatest Rock Songs”. The Police lead singer Sting wrote the song, inspired by the prostitutes he saw near the band’s seedy hotel in Paris, France, where the Police were lodged in October 1977 to perform at the Nashville Club. The song’s title comes from the name of the character in the play Cyrano de Bergerac, an old poster of which was hanging in the hotel foyer. Sting had originally conceived the song as a bossa nova, although he credits Police drummer Stewart Copeland for suggesting its final rhythmic form as a tango. During recording, Sting accidentally sat down on a piano keyboard in the studio, resulting in the atonal piano chord and laughter preserved at the beginning of the track. The Police were initially diffident about the song, but Miles Copeland III was immediately enthusiastic after hearing it; he became their manager and got them their first record deal with A&M Records.